Happy 4th of July! 15% off Yummy You Sale! 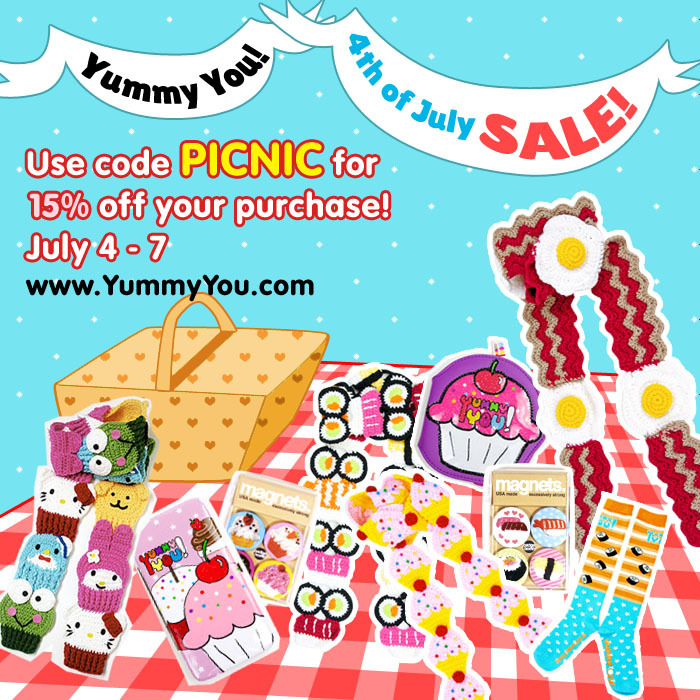 We’re celebrating with food, friends, and a 15% off sale at YummyYou.com from July 4 – July 7! Just use discount code: PICNIC. Do you have a favorite 4th of July treat? This sounds really boring, but, I REALLY LOVE CORN! One Response to Happy 4th of July! 15% off Yummy You Sale! i love corn too!! and jello. not together.